Spring is in the air! And along with that comes the pleasant and incessant urge to clean closets, declutter the house, and scrub the whole thing down! Something that we may overlook, however, is that Spring is also a perfect time to do a Hazardous Materials refresh – and it doesn’t involve washing walls! Spring is also an ideal time to do a Hazardous Materials refresh. Many people avoid this kind of clean-up because they don’t know what they should keep and for how long. But hazmat compliance is dependent on maintaining current knowledge and current practices. Now really is an excellent time to make sure that your hazardous materials are current, relevant, and not overly burdensome for the people that need them to properly do their jobs. Do you have a tendency to hold on to outdated materials, forms, or labels? If you are, stop immediately. Hazmat compliance materials are detail-oriented to begin with, so the simpler, clearer and less cluttered, the better. You’ll be happy you did it. Outdated materials present the danger of actually being used by someone and causing an issue. Good riddance, old subsidiary risk labels! Which Important Documents Should You Keep? As regulations for shipping dangerous goods increase in complexity, there’s no reason to keep information laying around that could increase your risk for non-compliance, including stopped shipments, supply chain delays, fines and more. The industry makes sweeping changes all the time, making it all the more important to only have up-to-date regulations on hand. If your printed copies of 49 CFR, IATA DGR, or the IMDG Code are outdated, it may be time to move on to online resources. An example of an online resource is Title 49 CFR “e-CFR” which is available online, and the Government Publishing Office maintains it so that it is always up-to-date. are current, relevant, and not overly burdensome for the people that rely on them to properly do their job. Hazardous materials transportation compliance is detail-saturated to begin with, so the simpler you can make it, the better – and you’ll be happy that you did. Making sure you discard old training and compliance documents is crucial, especially if you have new or inexperienced hazmat employees. Remembering all the regulations for various shipping transportation processes can be difficult. That’s part of the reason why it’s crucial to stay up-to-date on regulations. It’s also critical that hazmat employees have access to transportation regulations at all times in case they need to refer to them. Remembering the most essential aspects of hazmat compliance becomes second nature for most employees, but that happens over time. 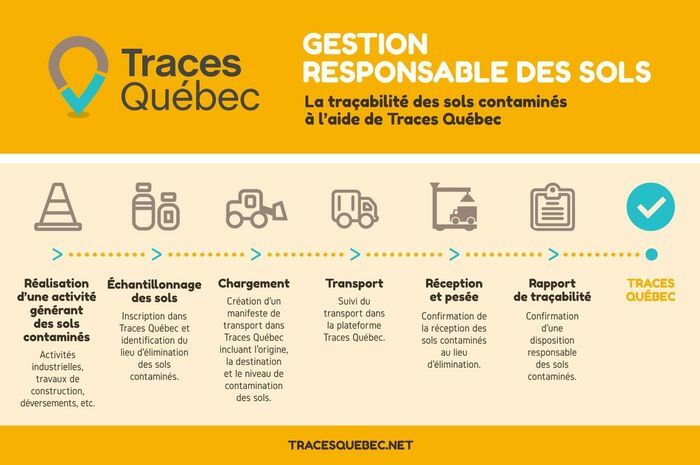 Everyone involved in the transportation of hazardous materials in commerce is required by law to be aware and comply with the appropriate regulations. Hazmat University offers several training programs for shipping and handling hazmat by air, ground, and sea. Courses include initial training for novices, recurrent training for those with more experience. Now we can take a breath of that fresh spring air, and just maybe we have inspired you to clean out those closets too! Happy Spring from the Bureau of Dangerous Goods! The City of Montreal has $75 million available in grants it will be giving away to encourage redevelopment of brownfield sites in the City. The funding was made available from the Quebec government last year. The Funds will be available for eligible developers that decontaminated brownfields within the city and redevelop them. The money is to be spent between now and 2022. 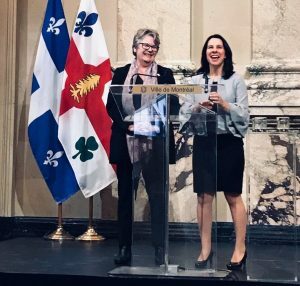 Montreal Mayor Valerie Plante said a portion of the fund will also go toward decontaminating buildings. 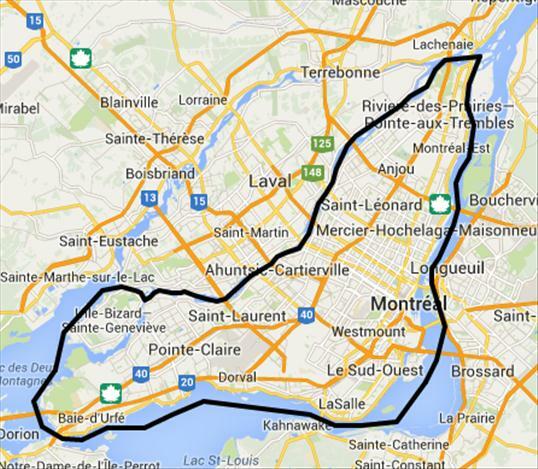 “It’s huge because I hate to say it but the entire island of Montreal is contaminated except for the existing greenlands of course. So every time we want to attract businesses, big investments, and they want to build something somewhere, and even for housing or anything; schools, parks, everything, we need to go through the decontamination phase,” said Ms. Plante. The grants will cover 15 to 70 percent of costs for eligible projects. The remainder of the clean-up costs would need to come from the other parties involved. 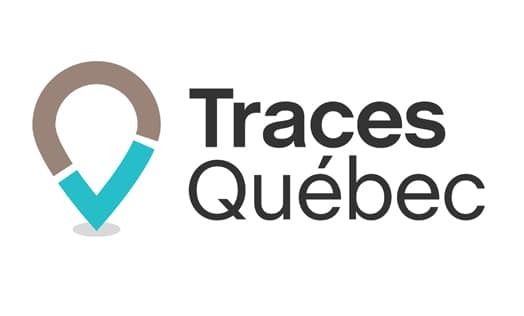 Companies or developers will present their projects to the city and Montreal will grant an amount based on the type of project presented and its environmental-friendliness. New Brunswick Southern Railway recently pled guilty to two of the 24 charges that had been laid against it under the Canadian Transportation of Dangerous Goods Act (TDGA). 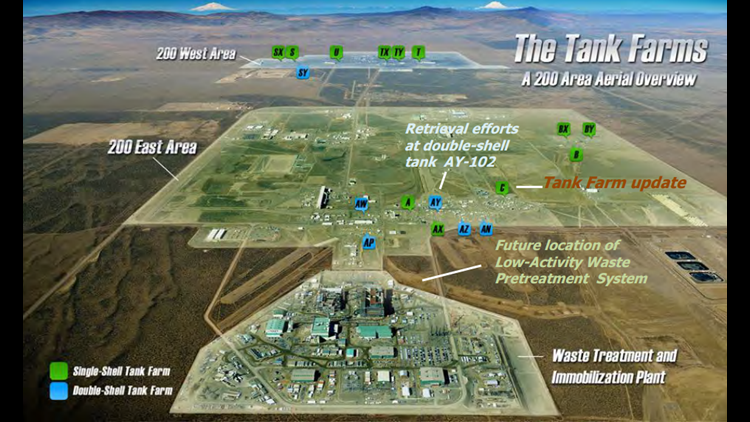 The charges deal with the mislabeling of tank cars by untrained staff. The case stems from a Transport Canada investigation triggered by the Lac-Mégantic derailment and fire that killed 47 people in Quebec in July 2013. Although that train the derailed at Lac-Mégantic belonged to another railway — Montreal, Maine and Atlantic — and was travelling on that company’s track, the crude rail cars were destined for Saint John, New Brunswick and were to travel on NB Southern Railway track. Investigators found that 6,800 tank cars of crude sent out prior to the Lac-Mégantic disaster had incorrect documentation prepared by untrained and uncertified NB Southern staff. Twelve of the initial charges, under the Transportation of Dangerous Goods Act, related to failing to create proper shipping documents for the purpose of transporting petroleum crude oil. The other 12 charges related to having unqualified personnel complete the documentation. 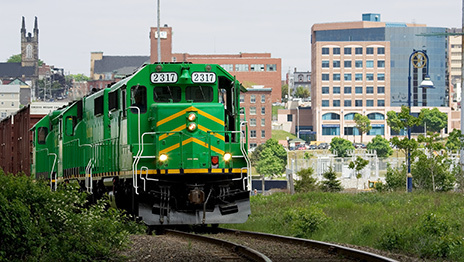 Through a settlement, New Brunswick Southern Railway agreed to pay $10,000.00 in fines and $40,000 to be invested in improving the safety of the transportation of dangerous goods in Canada. The British Columbia Court of Appeal recently issued a decision that overturned the ruling of the Supreme Court of B.C. on the responsibility of two insurance companies to pay for environmental clean-up under their general liability coverage. The case deals with West Van Holdings Ltd. (“West Van”) and West Van Lions Gate Cleaners Ltd. (“Lions Gate”) claiming their general liability insurance requires their insurers to defend them for any claims against them and cover any damages arising out of contaminants alleged to have migrated from property owned and used by them, to adjacent lands. The B.C. Court of Appeal is the highest court in the province. It hears appeals from the B.C. Supreme Court, from the Provincial Court on some criminal matters, and reviews and appeals from some administrative boards and tribunals. The B.C. Court of Appeal ruling means that the two insurance companies do not have to defend a Vancouver area dry cleaner or its holding company against a lawsuit filed by its neighbours alleging soil contamination. The B.C. Court of Appeal noted that the “policies do not include coverage for liability arising before the policy periods”, as one justification for overturning the Supreme Court of B.C.’s original ruling. In December 2017, the Supreme Court of B.C. had issued a decision which required two insurance companies to defend a pollution lawsuit against the owner of a dry cleaning business. The dry cleaner was being sued for allegedly contaminating neighbouring properties. The two insurance companies argued that they were not responsible for paying for the environmental damages because pollution was excluded from both of their applicable general liability policies. The Supreme Court of B.C. dismissed their argument and stated, in short, that the pollution exclusion must “clearly and unambiguously” exclude coverage. Moreover, the Court stated that the pollution exclusion must apply to “all of the claims made against the insured” in order to free the carriers of their duty to defend. In its ruling, the Supreme Court of B.C. viewed the construction of the pollution exclusion and more specifically the words “…premises owned, rented or occupied by an Insured…” as ambiguous with respect to coverage for remediation costs arising from pollutants that may have been used before the insured owned and/or operated on the premises. Further, the Court noted that the pollution exclusion lacked clarity on whether the exclusion extends to “concurrent liability, contributory liability or retroactive liability” attaching to the insured by statute. 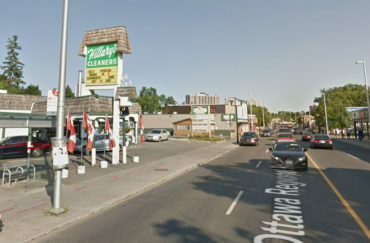 The Supreme Court of Canada recently dismissed a Leave to Appeal from an Ottawa dry cleaner that had been held liable for $1.8 million in clean-up costs from spills of dry cleaning chemicals that occurred approximately 45 years ago. In most legal cases, a party who wishes to appeal the decision of a lower court must obtain permission, or leave to appeal, from the higher Court. 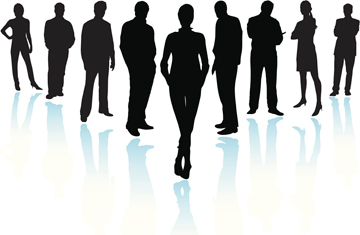 Generally, the losing party in a lawsuit may appeal their case to a higher court. If the higher court denies the leave to appeal, the decision of the lower court stands. If the court grants the appellant leave to appeal, the appeal process continues. In June of 2018, the Ontario Court of Appeal released a decision dealing with the case Huang v. Fraser Hillary’s Limited. The owner of contaminated property, Mr. Huang, had sued the owner of a dry cleaner business who contaminated Mr. Huang’s property, Fraser Hillary’s Limited (FHL). Mr. Huang owns two commercial properties in Ottawa that are directly south of FHL’s property. 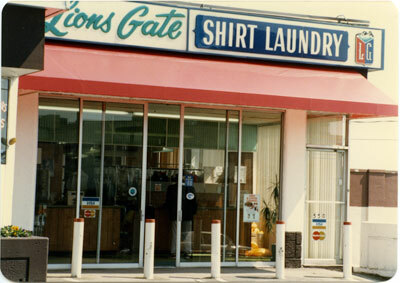 From 1960 onwards, FHL operated a dry cleaning business. Mr. Hillary, the president and sole director of FHL. Spills of dry cleaning solvents containing tetrachloroethylene (PCE) and trichloroethylene (TCE) were known to have occurred between 1960 and 1974 at FHL’s dry cleaning operation. Up to the mid‑70s, the adverse effects of dry cleaning chemicals were generally unknown or not clearly understoodty. In 1974, FHL bought new equipment and used new practices that eliminated the potential for subsequent spills. In 2002, Mr. Huang discovered TCE at his properties after a an environmental site assessment. He subsequently sued FHL and Mr. Hillary for the cost of the environmental investigations and the clean-up of his property. In 2017, the Ontario Superior Court of Justice awarded more than $1.8 million in damages to Mr. Haung to clean up his properties and reimburse him for the monies he paid for the environmental investigations conducted on his property. A summary of the 2017 decision can be found here. After failing in his appeal to the Ontario Court of Appeal, Mr. Hillary applied for leave to the Supreme Court of Canada (SCC). On April 11th, the SCC announced it will not hear an appeal. The top court does not issue reasons for denying leave to appeal. Air Liquide Canada was recently fined $100,000 for an offence under the Ontario Environmental Protection Act. The company was found by the court to have permitted the discharge of a contaminant (ammonia) into the natural environment, which was likely to cause an adverse effect. Air Liquide is a major producer of gases, technologies, and services for Industry and Health Care sectors. Air Liquide is present in 80 countries with approximately 66,000 employees and serves more than 3.6 million customers and patients. Air Liquide Canada operates a facility in the County of Lambton, near the City of Sarnia, which produces food grade carbon dioxide and is supplied with raw carbon dioxide from a neighbouring supplier. The carbon dioxide flows from the supplier through a dedicated pipeline, which is then liquefied and purified with the assistance of an ammonia-based refrigeration system. On April 16, 2017, in the early morning hours when no staff were at the faciltiy, the flow of raw carbon dioxide unexpectedly increased. As a result, raw carbon dioxide exceeded the refrigeration capacity at the facility and caused approximately 815 kg of ammonia to vent through cooling system pressure release valves. The Investigations and Enforcement Branch (IEB) of the Ontario Environment Ministry investigated and laid charges resulting in one conviction. Air Liquide Canada was convicted of one violation under the Ontario Environmental Protection Act and was fined $100,000 plus a victim fine surcharge of $25,000, with eight months to pay the fine.